THIRD SUMMER ENVIRONMENTAL COVERAGE: Through our partnership with Great Lakes Echo, this is our third summer packages of Michigan environmental stories. We will resume our regular weekly feeds in September. You may also want to use this Great Lakes Echo Michigan environmental podcast on your website: http://greatlakesecho.org/2016/08/12/solar-powered-brewing. BATZONE: You can step up to the plate at the newly renovated Bat Zone in Bloomfield Hills, North America’s only sanctuary and education center for bats and other nocturnal creatures. It’s run by the Organization for Bat Conservation at the Cranbrook Institute of Science and has nearly 20 nocturnal species, including a two-toed sloth, striped skunk, three species of owls and 12 species of bats. By Eamon Devlin. FOR ALL POINTS. SLEEPINGBEAR: Sleeping Bear Dunes National Lakeshore has dedicated a new segment of its heritage trail for bicyclists and hikers but work won’t be done until next spring. By Hannah Brenner. FOR LEELANAU, TRAVERSE CITY, PETOSKEY, HARBOR SPRINGS, CHEBOYGAN & ALL POINTS. 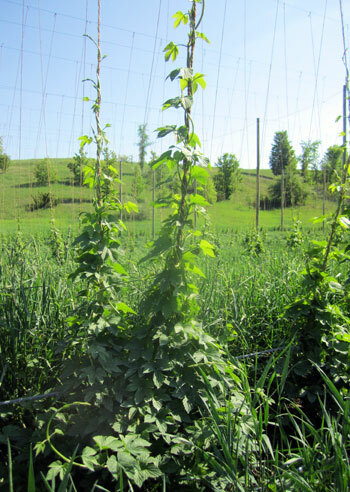 MICHIGANHOPS: The boom in Michigan microbreweries is fueling an expansion of hops production in the state, now the nation’s fourth-largest producer. Michigan’s climate is also a factor. The leading counties are Grand Traverse, Leelanau, Barry and Kent. We hear from an Atlas Township grower and experts from MSU Extension, New Holland Brewery and the Michigan Brewers Guild. By Josh Bender. FOR GRAND RAPIDS BUSINESS, TRAVERSE CITY, LEELANAU, HOLLAND & ALL POINTS. 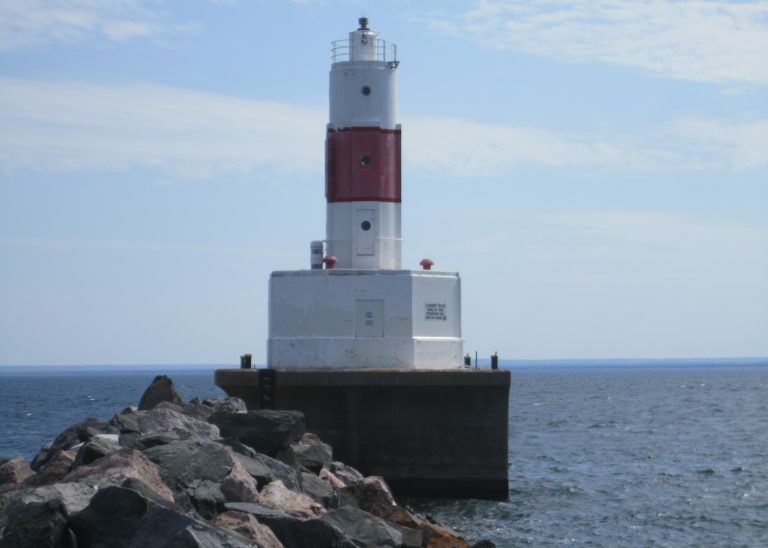 HISTORICLIGHTHOUSES: Three Lake Superior lighthouses, including the Presque Isle Harbor Breakwater Light in Marquette, have been added to the National Register of Historic Places, We hear from Coast Guard, National Park Service and National Register historians and the Great Lakes Lighthouse Keepers Association based in Mackinaw City. By Josh Bender. FOR MARQUETTE, BAY MILLS, SAULT STE. MARIE, ST. IGNACE, CHEBOYGAN, LEELANAU & ALL POINTS. TRIBES&WATER: Michigan tribes are actively engaged in protecting the waters of the Great Lakes. Among their concerns is the Enbridge pipeline under the Straits of Mackinac. We talk about their efforts with members of the Sault Tribe of Chippewa Indians, Little Traverse Bay Bands of Odawa Indians and Nottawaseppi Huron Band of the Potawatomi, and with the Center for Native Peoples and the Environment. By Kelly vanFrankenhuyzen FOR BAY MILLS, HARBOR SPRINGS, TRAVERSE CITY, LEELANAU, CHEBOYGAN, ST. IGNACE, SAULT STE. MARIE, MARQUETTE, ALCONA, LUDINGTON, MANISTEE, HOLLAND, PETOSKEY, HARBOR SPRINGS & ALL POINTS. BUYALIGHTHOUSE? In the market for some truly unique property? Four Lake Michigan lighthouses are up for auction by the federal government. 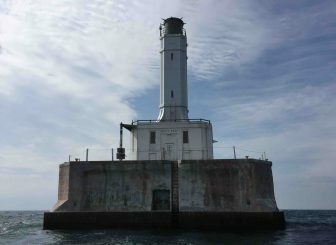 The North Manitou Offshore Lighthouse near the Manitou Islands, the Minneapolis Shoal Lighthouse at the entrance to Little Bay de Noc in the Upper Peninsula and the White Shoals and Grays Reef lighthouses, both between Emmet County and Beaver Island. By Josh Bender. FOR TRAVERSE CITY, PETOSKEY, HARBOR SPRINGS, BAY MILLS, MARQUETTE, SAULT STE. MARIE, LUDINGTON, MANISTEE, HOLLAND, ALCONA & ALL POINTS. w/BUYALIGHTHOUSEPHOTO1: Lake Michigan’s Grays Reef Lighthouse near Beaver Island. Credit: U.S. General Services Administration. 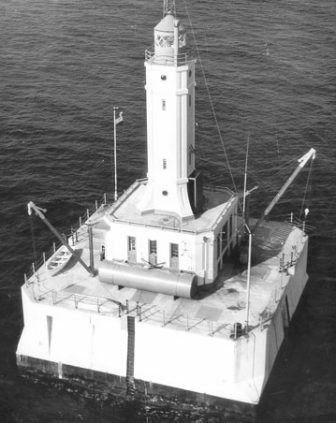 w/BUYALIGHTHOUSEPHOTO2: The Minneapolis Shoal Lighthouse began operations in 1936 and became automated in 1979. Credit: U.S. General Services Administration. LANSING — A water-testing device making its freshwater debut in Lake Erie this month could lead to a network able to issue warnings of toxic algal blooms. It’s called the Environmental Sample Processor (ESP), a 2.5-foot long cylinder nicknamed “lab-in-a-can.” The instrument is anchored underwater where it samples water, concentrates algae and particulates onto a filter, analyzes them and sends the results electronically through a buoy to a lab. In Lake Erie’s case, the device will search for bacteria and for potential toxins called microcystins that are produced by freshwater cyanobacteria.